You can only do test packets for so long before you completely lose engagement. For my fourth and fifth graders, one day of worksheets was all they could handle. This is probably because they were used to hands-on activities in my classroom. 15-20 minute STEM challenges are a great way to break up the day before testing. 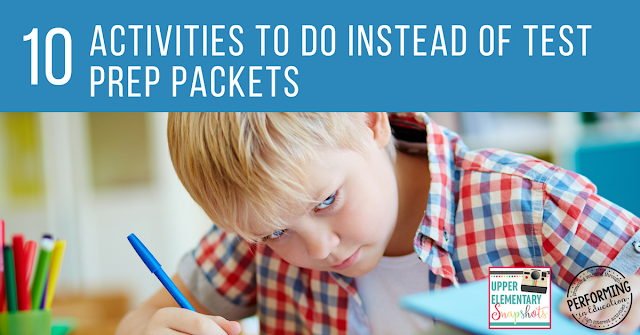 Not only do these short challenges get students out of their seats, but it allows them to have a very educational brain break. STEM centers where they can build different things are also a great option! 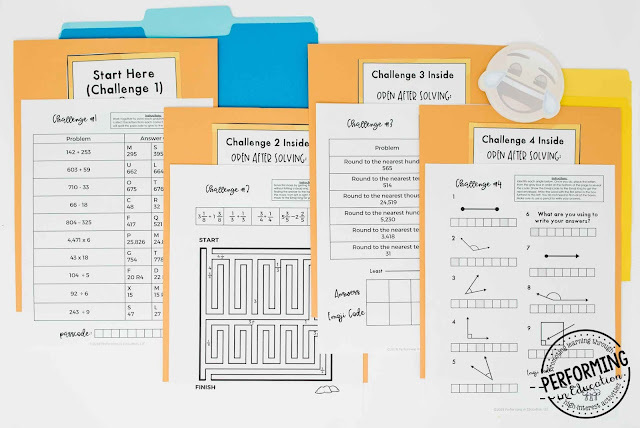 Escape challenges usually take about 90 minutes, but can provide practice with the same types of question students would see in a test prep packet. Students are more engaged in practicing these problems because everything is in the form of a puzzle that they have to work together as a team to solve. My escape challenges have accountability built in, so that all students have to participate and solve the problems. You can read more about escape challenges in the classroom on my blog. You can also see an example of a 4th grade teacher using this for test prep in her classroom here. Genius hour is a more open-ended approach to learning. During this time, students will work on passion projects. This time isn't wasted, though. During genius hour, I ask my students to incorporate three things they learned this school year, from any subject. They share this with other students, as a reminder of some of the knowledge we learned that may be on the test. You can find out more about genius hour here. I use project-based learning (PBL) throughout the year to learn and apply standards, but it's even more commonly used towards the end of the year to apply standards to real life situations. I love it so much that I even wrote a book of real-life project ideas for the 3-5 classroom. Project-based learning can be built around science, math, reading, social studies, and more. To find out more about what PBL is, and how to use it, check out my Project-Based Learning: Start Here post on my blog. Simulations are another version of active learning. A simulation puts students through a staged replication of an event or concept that the teacher wants to review. Role-paying is a huge part of simulations, and is a great way to learn! Observing math and science during a science lab is a great way to practice for state testing if your students get tested on science. Your students are far more likely to remember a concept that they observed during a lab than one they saw on a test prep question. Completing a service project before testing can help boost confidence and receive stress. You can definitely incorporate some key math standards in there as well, if you're raising money as a part of it. Have your students brainstorm ideas for service projects, and work tougher as a class to decide on one that everyone would be interested in. If you absolutely have content to review, try using it in a center instead of a test prep packet. This allows students to get up and move around, instead of sitting in their seats for an extended period of time. You can also make the questions into games as a part of your centers, and your students will love those even more! 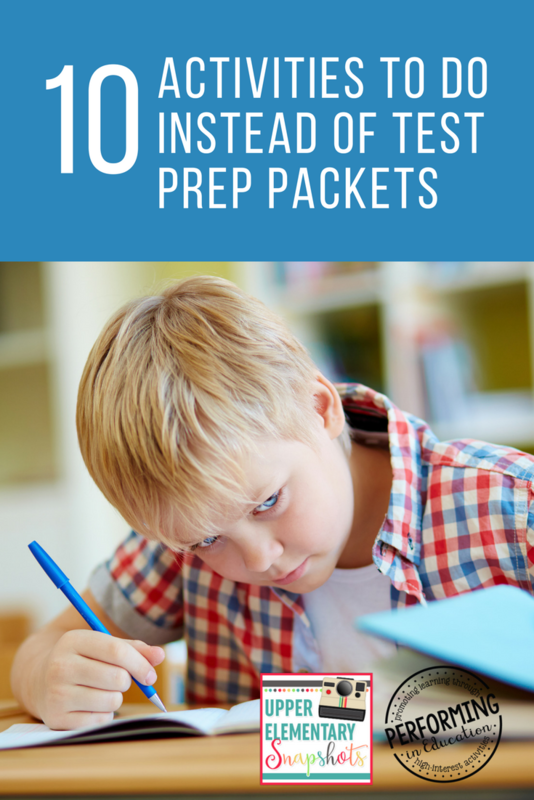 This is a pretty broad idea, but I look for ways to incorporate the test prep questions we need on the technology we have. 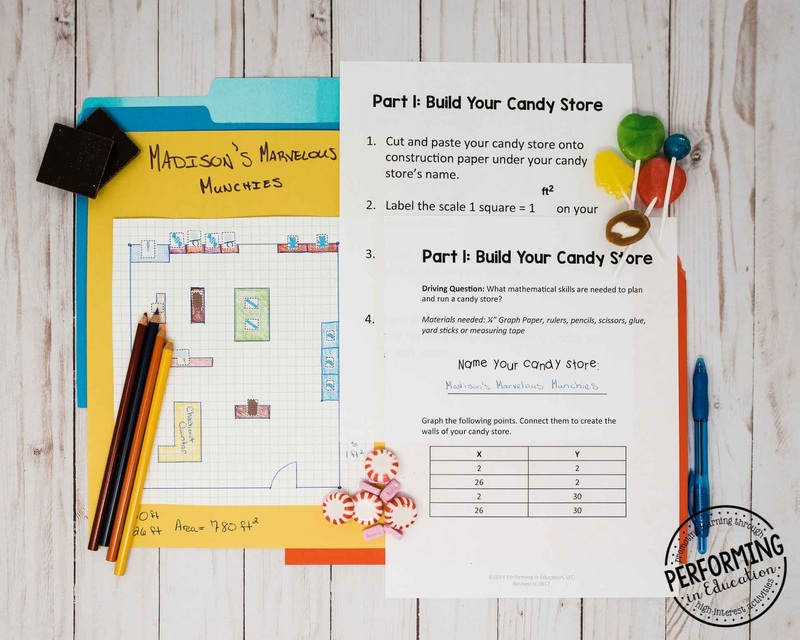 When we finally went 1:1 a few years ago, students made test prep games using the problems I provided and other students played them. Bring in as much technology and gamification as you can with what you have. Read-alouds are a special treat for students. I've used read-alouds as a way to sneak in reading and writing review for years. I let my students pick a book they're interested as a special treat and read it aloud to them. We stop throughout the chapters and discuss things like theme, character traits, plot, etc. I also have them journal about the book, and we get grammar and writing practice through that. 5th Grade: The Giver by Lois Lowry. What activities do you do with your students instead of test prep packets?